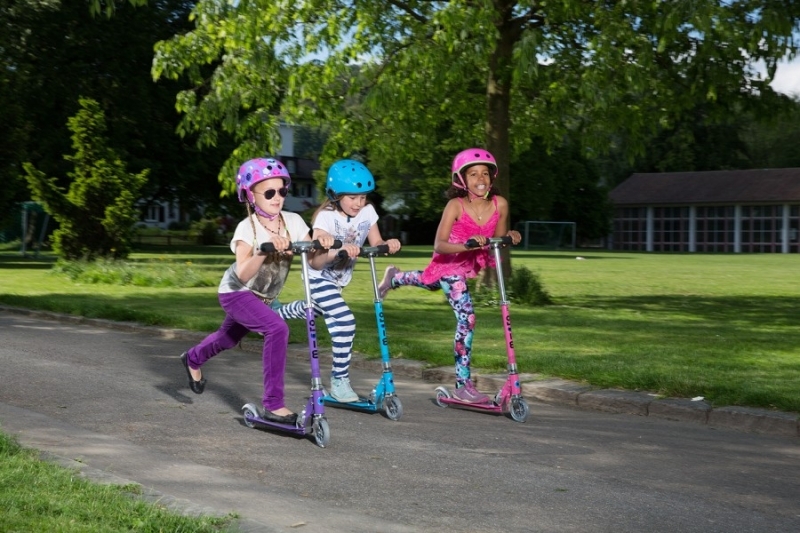 Folding scooters are ideal for short distances and suitable for children. They save space not only at home, but also at work, school or in the gym. 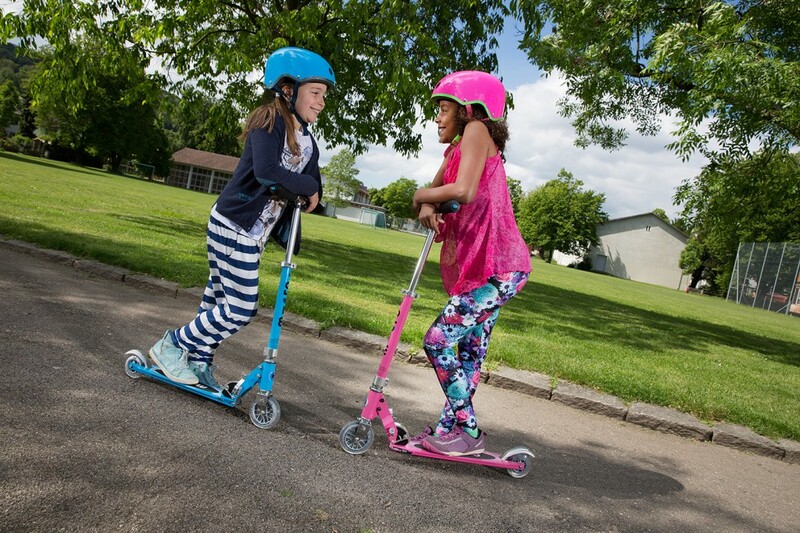 Most of foldable kick scooters have adjustable height, so the scooter can grow together with your child, or be at service of your whole family. They are practical, quick to fold and easy to carry in public transport. You can take them anywhere with you and simply fold it in your locker or under your work desk. When travelling longer distances, opt for a kick scooter with inflatable wheels, which are faster and more comfortable. If you get around the city using public transport and you want to use a kick scooter at the same time, you might want to consider a folding model. Maximum capacity is around 100 kg and therefore suitable for adults. Folded scooters have such small dimensions that you won't encounter any issues even in a overcrowded subway. That is certainly an amazing advantage. 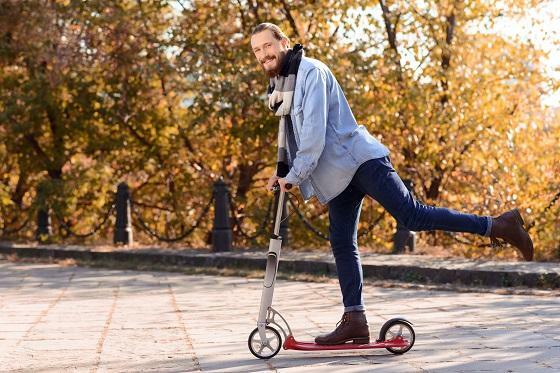 On the other hand, folding scooters may not feel too comfortable, scooting can be difficult and the wheels will let you feel every little stone. The brake reminds of a mud guard and is applied by stepping on it. The friction between the brake and the wheel causes stopping. This type of brake can be found mostly in city kick scooters. In order to ensure proper function of wheels, it is essential to choose the right bearings. If you find out that the wheels are grinding or making ugly noises, the issue probably lies in the bearings. The quality of bearings is indicated from 1 to 9 on an ABEC scale, where 9 signifies the highest quality. 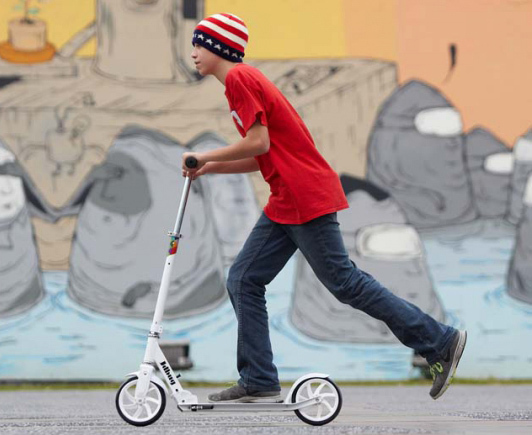 Smooth scooting requires bearings with ABEC 5 to 9. If you are purchasing a scooter with inflatable tires, you don't have to worry about bearings. Height of the handlebars depends on the height of the user and the scooting style. Higher handlebars are suitable for casual recreational ride, while freestyle scooters should have lower handlebars which provide better control. The hardness impacts the speed and comfort. Harder wheels mean higher speed. If you are looking for better comfort, choose softer wheels which better absorb shocks. The hardness of inflatable tires depends on how much the tires get inflated. Soft wheels are indicated as 86A and lower. They have better grip, are smaller and suitable for beginners. Hard wheels are marked as 88A and higher. They are suitable for skate parks, are more durable but don't absorb shocks. General rule is that the larger the wheels, the faster the scooter can go, it is however more difficult to control. 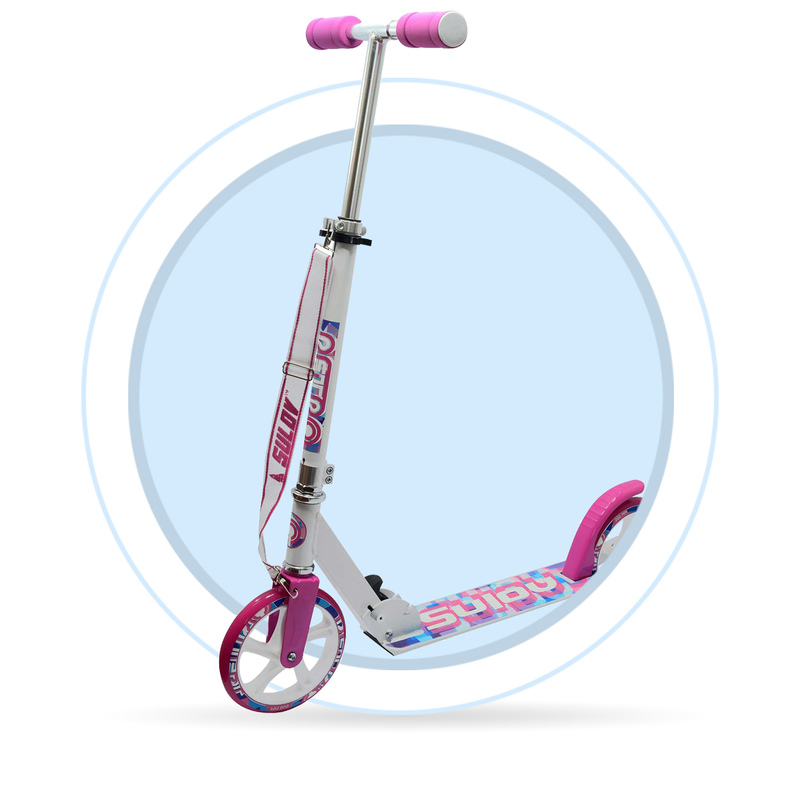 If you are a beginner or looking for a kids' scooter, opt for a model with smaller wheels.